Waste Challenge: A mine under construction in a lush tropical forest has operations that are spread over a large distance from the port to the mine. Incoming supplies, and thousands of construction workers living and working on-site, generate significant amounts of waste. Special Feature – Ease of Use: The machine can be loaded using any equipment with fork attachments. Waste is collected on-site in the EWS supplied waste bins. 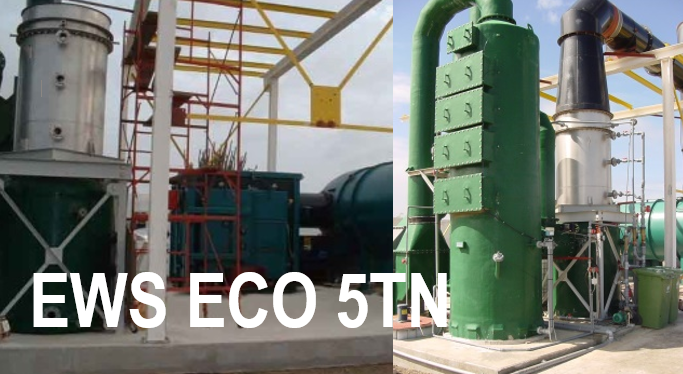 The bins are self-dumping which allows waste to be deposited directly into the top of Eco Waste Oxidizer. This direct loading is facilitated by the top-loading feature which lifts the entire roof off the primary waste chamber to provide full access to the large opening. Sustainable Benefit – Reduced Risk of Environmental Impact: This equipment provides an environmentally responsible waste disposal solution. 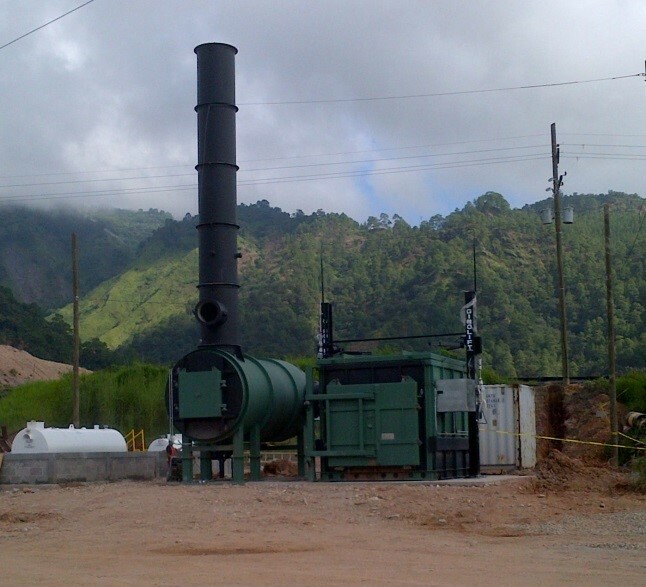 Having it at the location where the waste is generated, reduces the risk of spills and other hazards inherent in the transportation of the waste over long distances on steep and rugged roads.